Home design is like any other form of design – every year there are new trends, new looks, new colors. And for homebuilders, that means trying to decide which trends are worth paying attention to. In a room like the kitchen, redesigning can include anything from the floors to the faucets. A variety of new trends have been influencing designs recently. Cherry wood declined as the top choice for cabinetry, replaced by requests for other wood species – from oak to maple, to rarer woods like birch and bamboo. And while darker finishes and glazes are also becoming more popular, white is still the most requested solid color. The trick is balancing the starkness of a white kitchen with warmer wood flooring and table. Overall a more neutral palette for cabinets allows more flexibility for accessories, lighting, counters, etc. Another issue that has arisen is whether stainless steel is on the way out. While stainless steel still dominates, other finishes in copper, bronze and aluminum are starting to appear. Builders are taking it slow, though, since it’s expensive to replace an entire kitchen suite. Builders and designers are employing energy efficient LED lighting, as well as faucets with built-in sprayers. Glass and natural stone are popular choices for backsplashes. Stile kitchens feature classic elements that are modern and functional, yet will feel just as comfortable years from now. For more information about Stile homes, visit our website here! Drop us a line with feedback or questions. Don’t forget to check out our Facebook page, too! New home builders tread a fine line when it comes to keeping their homes modern without seeming too trendy, updated without being too over the top. Homeowners want modern designs, but they also have concerns about paying for them. And every year, design elements, color palettes, and “must-have” features change. Kitchens, for example, are full of design trends – from cabinets to flooring to appliances. Painted white cabinets may be the look one year, while dark stain is the trend the following year. Most builders can’t afford to revamp their homes that often, so they have to make educated guesses about which design trends will be most popular and last longest with their homebuyers. 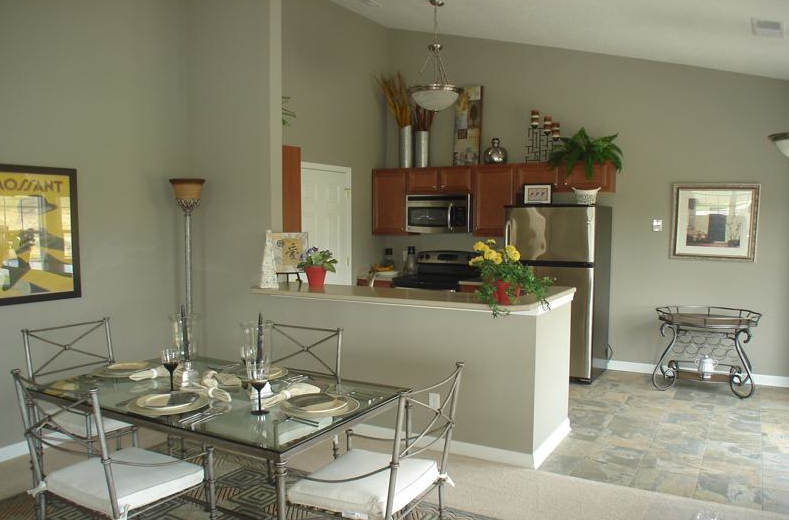 Stile homes feature open floorplans, with living spaces that are perfect for everyday and special occasions. All of these elements create a classic home that will feel just as innovative years from now as it now. For more information about Stile homes, visit us on the web here! Drop us a line with feedback or questions. Don’t forget to check out our Facebook page, too!